Local band Glas were supporting tonight with their take on R&B rollickin’ blues getting the evening off to a great start. 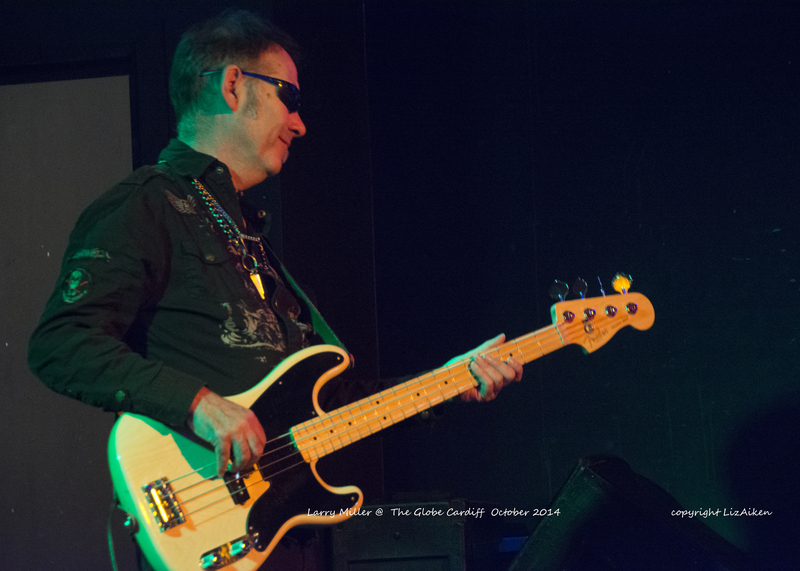 The bass and vocalist ensured that every song was lead from the front and the excellent licks and riffs added by James Oliver on guitar gave the band a depth of sound as demonstrated on ‘Dust My Broom‘ loved the slide work by James; warming everyone up for the main act Larry Miller. 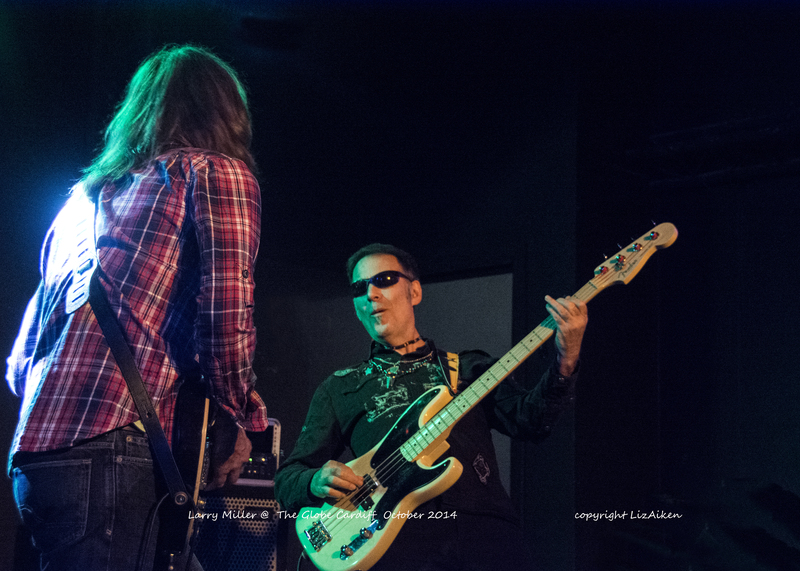 Larry Miller and the band stormed onto the stage of The Globe, and struck up rocking blues that put everyone in a good mood, as like a charging bull full of controlled aggression he set the music going with ‘In My Own Backyard‘. 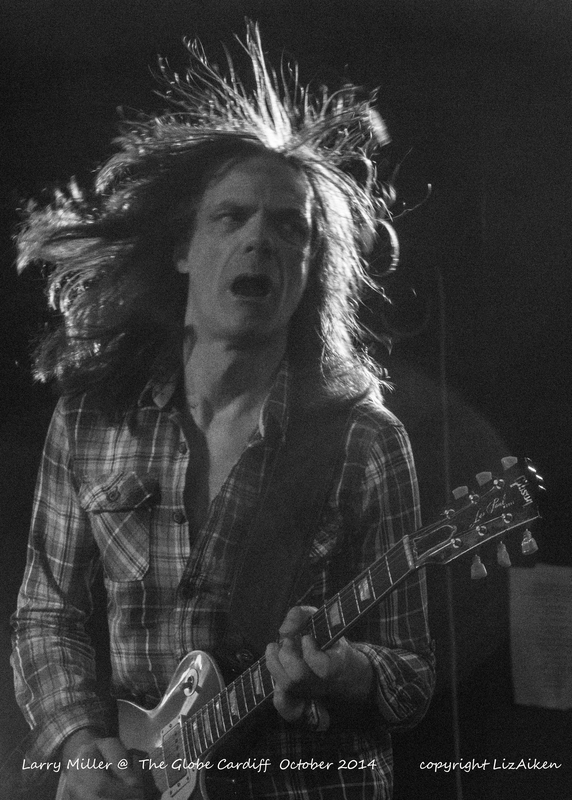 This is very much in-your-face blues/rock by one of it’s finest exponents and most importantly the crowds loved every clarion note played on his guitar. Larry was in-tune with his guitars tonight whether the track called for his Gibson Les Paul, Fender Stratocaster or Telecaster which he then used with a mighty force when delivering lengthy, scintillating lead breaks with the Miller signature bending of the notes on every chord and lick. He can only have this freedom of expression out front whether through vocals or his six-strings because of the solid, confident rhythm section of Derek White on bass with whom Larry ahs a true empathetic understanding on drums Graham Walker who is spot on the money whatever tricks Larry throws into his distinctive live sound. The end result is one of the most entertaining blues/rock trios on the circuit as they delivered tracks from previous releases including Calling All the Angels with its change of tempo for a classic Larry rendition of a slow blues number, definitely one of Bluesdoodles favourites. 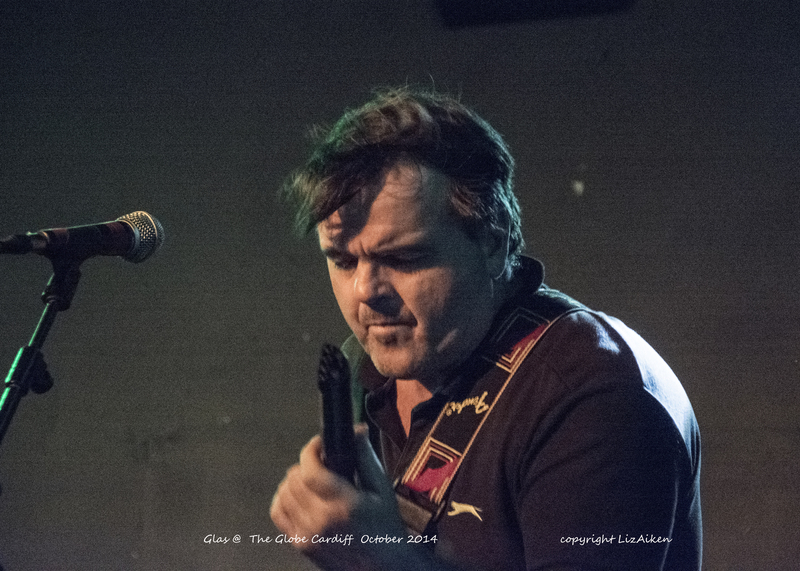 We had lots of banter that engages the crowd and gives the show real entertainment value as he delivered Rory Gallagher’s, Walk On Hot Coals showing the roots of some of Larry’s influences to perfection. Then we were treated amongst the songs we love to hear delivered by Larry, and a track from his New Album Soldier Of The Line, Mississippi Mama being released on 24th November with album launch at the Jazz Cafe, Camden, London on Sunday 23rd November. A great bluesy rock number in the Miller tradition with some hefty chords that grabs your attention looking forward to listening to the whole album. Larry came to Cardiff entertained had people dancing, laughing and foot tapping along to quality live music he is infectious, no break for the band tonight so no solo set with Larry and his national then all too soon the show was over, but not before an encore of the Larry favourite Delilah.